When there is a broken pipe on your property, how much water is actually flooding in? Well, that depends on two factors: the size of the pipe and the length of time it flows. If you are lucky enough to witness the break and turn off the water, a mop and bucket should do, but left unattended, not only will you have serious damages, but your water bill will be sky high! 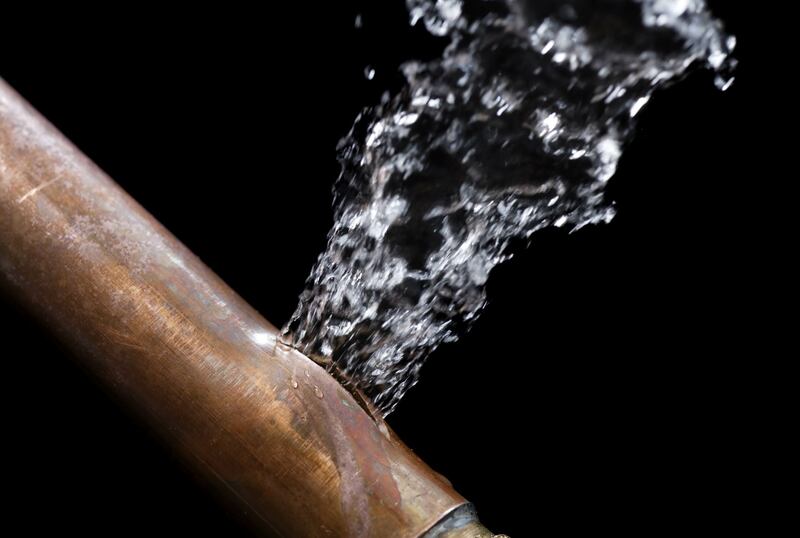 So how much water could you lose if a pipe burst? To give you an idea of size and scope, a 24-foot above-ground round pool, 5 foot deep, contains roughly 16,000 gallons of water. With a typical two-inch pipe for sprinklers that breaks, you could fill a pool in about 20 minutes. If your standard half-inch pipe breaks on the way to work, nine hours later you can have up to 27,000 gallons pass through your property. If a 4-inch pipe breaks, you don’t want to be anywhere near it when it does, because it most likely will shake the property and sound like an explosion. So check your pipes every now and then, most breaks happen at the connections. And when you leave your property for extended periods of time, do yourself a favor and shut off the main water supply, and for those in freezing climates, drain your lines as well.